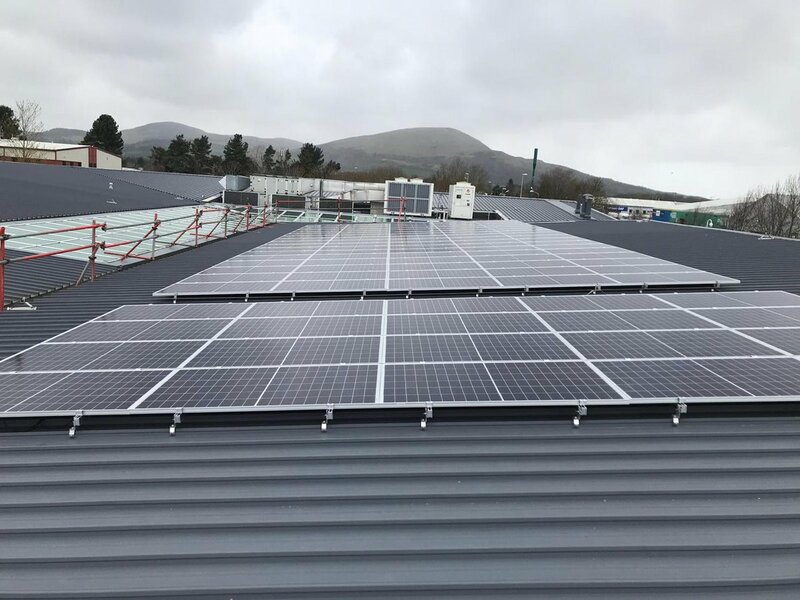 West Dunbartonshire Council appointed Campbell & Kennedy (C&K) to deliver a solar panel installation to Saint Michael’s Primary School in Dumbarton, Scotland. The works began with C&K’s fully qualified and professional engineers securely fitting K2 rails to the roof. The engineers then performed the installation by fitting high quality REC panels and neatly running DC cables into the loft space as detailed by the technical design. An experienced electrician then completed the works by cabling the inverters before fully testing and commissioning the system to MCS standards. To avoid disruption to the pupils and the school’s operation, the project began and finished during the school holidays, meeting the Council’s expected timeframe. The system, which has a 25 year life span, will benefit the Council by reducing their energy costs, generating income via the Feed-in Tariff scheme and reducing their carbon emissions.